Have you ever stopped to consider how important your roof is? Roof repair and replacement in Hollywood, FL, can often be forgotten about until an emergency occurs. Ensuring your building has a strong and structurally-sound roof will help to protect the building itself and the people inside. It only takes a small leak for water to be able to get inside the walls which can lead to anything from damage to interior décor up to the potential collapse of a supporting wall – water damage is no joke. There may not be much rain in Hollywood, but there’s plenty of wind to damage the roof and let water falls from the sky get inside. If you need commercial roofing or residential roofing services in Florida, we’ll be able to help you out with almost any kind of roof. When you need a shingle roof company to make small repairs or replace your entire roof, you can trust Tornado Roofing to complete the work properly. We’re also a tile roof company and are more than happy to work on your metal roof too. If you need any work on any kind of roof, Local Roof Repair Company got you covered. Any age of the property and any age of roof can be evaluated in Hollywood, Florida. Some roof installations in Hollywood are nearly 100 years old, so if your building needs roof leak repairs or some kind of major renovation that will include a roof replacement, we’re the team to call. Our highly-skilled and well-trained team are professionals who are ready to complete your roofing job to the highest safety and quality standards. 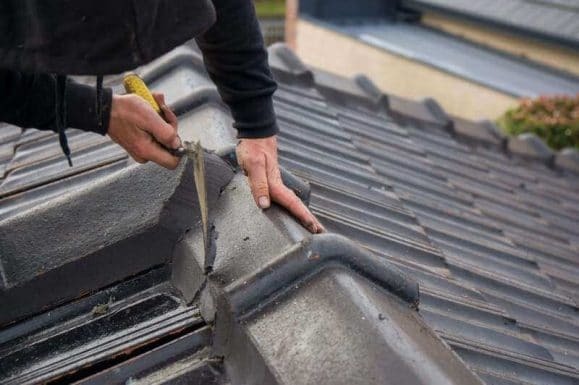 Roof Replacement Company offer a clear, transparent, and competitive pricing structure so that you’ll know exactly what you are paying for with no hidden extras. Our business thrives on recommendations, so we do everything we can for every customer to make sure they’ll recommend us to their associates. We serve the city of Hollywood, Florida, and many of the surrounding areas, providing full roof replacements and roof leak repair service on a range of buildings. Hollywood has suffered severe damage from hurricanes in the past, and one of the better ways to help reduce the amount of damage a hurricane can cause is to ensure that your building is in great condition. Your roof may only need minor repairs, or it may be a major repair that is required – or even a complete replacement. In any case, our courteous staff will look after your every need – we even provide an emergency roof leak repair service if it is needed, and we’ll make sure your building is as safe as it can be. When you need residential roofing or commercial roofing services, Tornado Roofing will complete the job on time, on budget, and just how you want it. Get in touch today if you need any type of new roof, roof repair, or need to use our emergency roof leak repair services. We’ll be happy to help you out.